The aim is to ensure that users of the French Cityzi NFC service can use their mobile phone to make payments anywhere in the world that MasterCard PayPass is accepted, ahead of a planned national expansion of the Cityzi service. 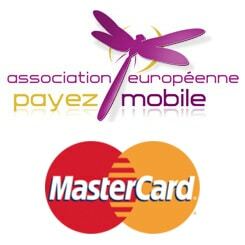 MasterCard and AEPM, the Association Européenne Payez Mobile, have published specifications for interoperable contactless mobile payments in France and abroad. “This opens the way to large-scale deployment of mobile phone-based contactless payment in France,” they add. Following the launch of Cityzi in Nice in May 2010, French mobile network operators and the government are now looking to expand the NFC system nationally. From January, Orange will be distributing the Samsung Player One NFC phone — currently only available in Nice — nationally through its entire network of stores and aims to sell a total of 500,000 near field communication-equipped mobile phones during 2011, Mung-ki Woo, the mobile network operator’s vice president of electronic payments & transactions told delegates attending the Cartes conference in Paris last week. A further twelve cities, meanwhile, have responded to the French government’s call for proposals for three to five more cities to receive funding to run large scale NFC field trials similar to the Cityzi project running in Nice. They include Paris where STIF, the governing body for the city’s bus, local train and underground services, is committed to switching to an NFC compatible ticketing infrastructure and Caen, which recently introduced an NFC and 2D barcode tourist trail, enabling visitors to tap or scan posters to get further information on William the Conqueror and the city’s early history as they tour the area.